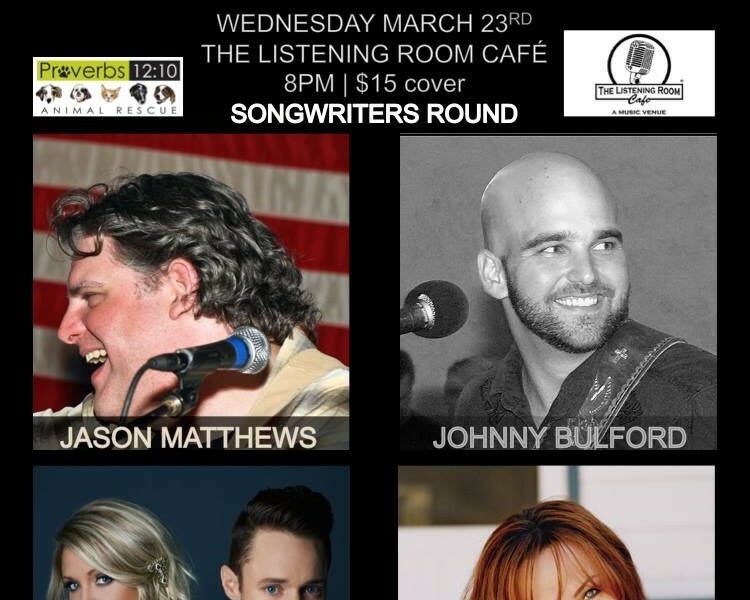 TSR is teaming up with Jason Matthews, Johnny Bulford, & Rebecca Lynn Howard for a special event. 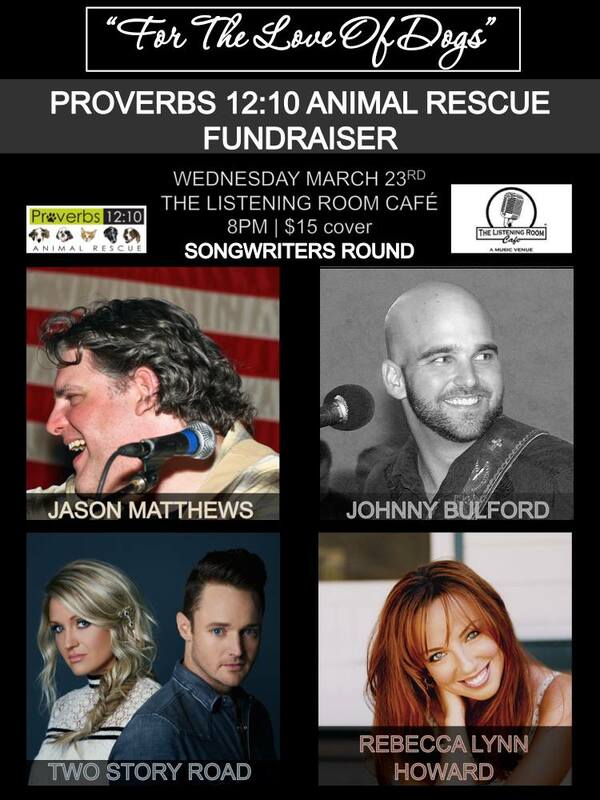 Proverbs 12:10 Animal Rescue is hosting this songwriters round as part of their fundraiser. The show is on 3/23 at 8pm and tickets are $15 at the door or online. C’mon out & support a great cause with some great music.